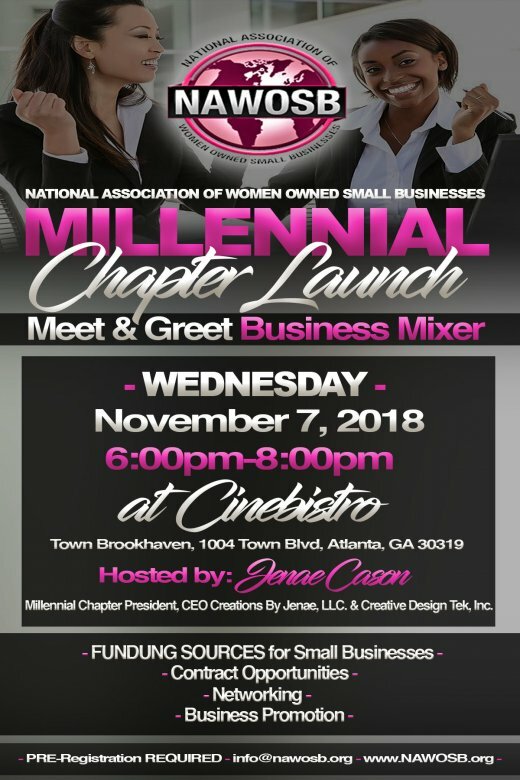 National Association of Women Owned Small Businesses, Inc. (NAWOSB) is a business membership based organization focused on educating women owned and other small businesses how to WIN Corporate, Government and College- University contracts as Contractors, Suppliers, and Vendors-regardless of your business industry! We are happy to launch our MILLENNIAL Chapter to Educate, Build and Support Entrepreneurs at the onset of business development. Access to resources for Funding, Insurance, Real Estate & Much More! The guest list is private for this event.